← INTRUDER comics from Seattle, free with every order! Starting today, you can order the first 5 books published by DOMINO for just $21—that’s 5 books for the price of 4, plus FREE SHIPPING to anywhere in the world! 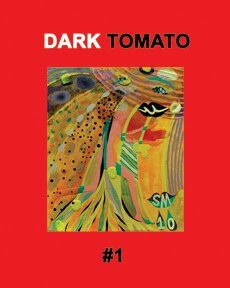 In the last two years, DOMINO has published Dark Tomato by Sakura Maku, Spider Monkey by Jesse McManus, Difficult Loves by Molly Colleen O’Connell, Face Man by Clara Bessijelle and Space Basket by Jonny Petersen. We are a very small company, and each project that we publish is very dear to us. As an artist myself, all the projects I work on through DOMINO are works that make me feel strongly about making art myself and that I feel deserve to be published with the most elegant production possible. My own feelings about art are complicated and I think that these first 5 books from DOMINO are my best attempt at summing up my admiration for a lot of different art making approaches. I’m glad to offer all 5 books together as a holiday sale because I think—due to their diversity of aesthetic and intentions—they work best when viewed as a whole. Order the books together at this discounted price through December 21st!